A visitor to a graveyard bravely went to investigate an eerie and strange knocking sound coming from among the headstones and discovered a fox cub with its head stuck in a jar of peanut butter bashing it on a gravestone in a desperate bid to be free. The three-week-old vixen cub was 'near to death' when it was found forlornly knocking the jar against the headstone in the grounds of Salisbury Crematorium in Wiltshire. She was picked up by Kevin Drew from the Creatures in Crisis animal rescue sanctuary and he managed to free it, with the help of his son Callum, 16, before taking it back to the centre in nearby Winterslow. "We had a call about an animal banging around at the crematorium – they thought it was a kitten banging its head against a gravestone," he said. "We attended the scene and there was a fox cub with its head stuck in a peanut butter jar, trying to lick the peanut butter out. The jar was stuck fast on its head. If we had been there any later it very well may have died. "The plastic jar was on tight enough for the poor fox cub not to be able to wriggle free, but there was just enough air getting through its fur that it hadn't suffocated. It was on pretty tight but there must have been just enough oxygen in there for it," added Mr Drew. "You couldn't get your finger between the jar and the animal's neck it was on so tight, but we picked it up and brought it home and managed to cut the jar off. She was near to death. When she was freed, she was very subdued, but doing fine now. It will be another three months before it's released," he added. Obviously, she has been nicknamed 'Peanut'. "We are just glad it was a plastic jar and not glass," Mr Drew, said. 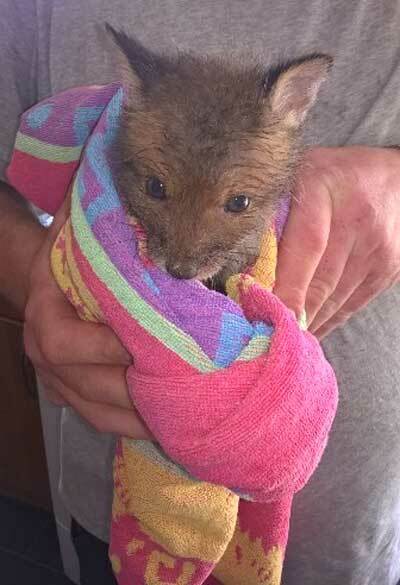 "Once we got the jar off we were able to examine it and check that it didn't need to go to the vet. We made sure there was no peanut butter residue on its head and took it to the centre. Peanut, who was rescued last week, is now recovering well and living with another female fox cub. 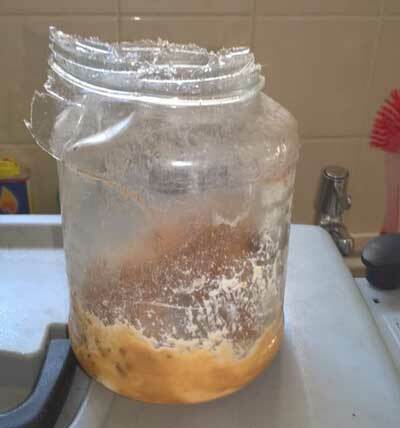 We would urge people to wash their jars out before they recycle them or throw them away because it would stop these things happening again," Mr Drew added.